New Delhi : The World Health Organisation (WHO) urged the countries of the Southeast Asian region to strengthen their health care system to tackle the rising incidence of stroke witnessed in the region along with other low income countries every year. “We need to spread awareness on stroke prevention, understand the symptoms and when to seek immediate care, and have a well-prepared health system to save lives and prevent lifelong disability,” said Poonam Khetrapal, WHO Regional Director for Southeast Asia, in a statement here. 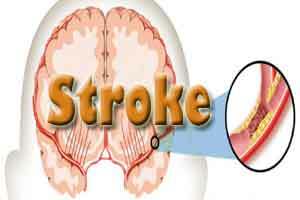 According to WHO, low income countries, majorly the Saarc countries, report 11 million stroke cases every year. The health problem leads to 4 million deaths annually due to it, and leaves approximately 30 per cent of survivors seriously disable in the Southeast Asian region. For the 70 per cent of survivors who recover, the likelihood of suffering further strokes is greatly increased. A stroke is a “brain attack” and can happen to anyone at any time. It occurs when blood flow to an area of brain is cut off when brain cells are deprived of oxygen and begin to die. When brain cells die during a stroke, abilities controlled by that area of the brain such as memory and muscle control are lost. October 29th is World Stroke Day. Stating that most of the lifestyle-related risks can be reduced to prevent brain stroke, WHO has urged people to quit smoking and drinking two factors alone significantly multiply the likelihood of stroke. WHO’s Southeast Asia region comprises the following 11 member states: Bangladesh, Bhutan, North Korea, India, Indonesia, Maldives, Myanmar, Nepal, Sri Lanka, Thailand and Timor-Leste.